Fr Aidan was born on 31 March 1946 in the Parish of Lissan, Cookstown, Co Tyrone. He was educated at Lissan PS and St Patrick’s College, Armagh. After Armagh he spent a year in Maynooth before leaving to complete his BA in UCD. Still feeling called to priesthood, he spent two years in the Jesuit Novitiate. Again changing his mind, he joined the newly founded SDLP, winning a seat on Magherafelt Council in 1972 and the Northern Ireland Assembly a year later. Inspired by Martin Luther King and the American Civil Rights Movement he studied law at Queen’s University Belfast, qualified as a barrister, and worked for nearly five years in the Secretariate of the EEC Council of Ministers, Brussels. There he came in contact with the Charismatic Renewal Movement and the desire to be ordained priest returned. In 1981, he entered Holy Cross College Clonliffe, where he was ordained for the Archdiocese of Dublin on 5 June 1985. He served as curate in the Parish of Drumcondra, Dublin from 1985 to 1990. He volunteered as an associate priest with the Columbans in Chile from 1991 to 1997. On his return to Dublin he was appointed University Chaplain at Trinity College, Dublin and served there until 2002. At this stage, Aidan applied for temporary aggregation in the Society of St Columban. He was appointed to Chile and served in the city of Iquique where he was responsible for building two churches. He became a permanent member of the Society on 1 October 2005. 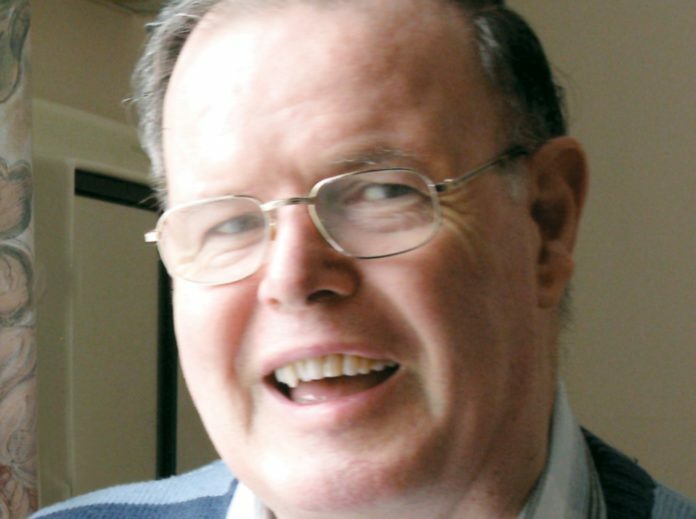 In 2008, Aidan was diagnosed with the early stages of Parkinson’s Disease and in 2010, at the request of the Superior General, he returned to Ireland and began research on recent writings on St Columban. The results of this research were published in book form in 2012 under the title ‘St Columbanus, Pilgrim for Christ’. Since then, in spite of deteriorating health, Aidan has planned and researched another book on St Patrick and his writings. Aidan was a serious, earnest, dedicated priest and scholar and as a missionary he placed his unique experience of politics and law at the service of the powerless. He coped bravely with his deteriorating health and continued his research in spite of it. He died on 31 March 2019, his birthday.